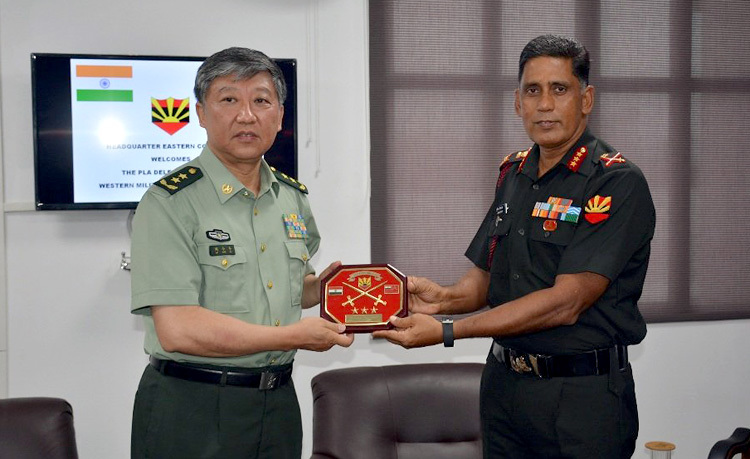 A ten member Chinese delegation visited Headquarter Rising Sun Command, on 5 July 2018. The visit is a positive step towards enhancing the bilateral defence cooperation mechanism between the two countries which would help in maintaining peace and tranquility. 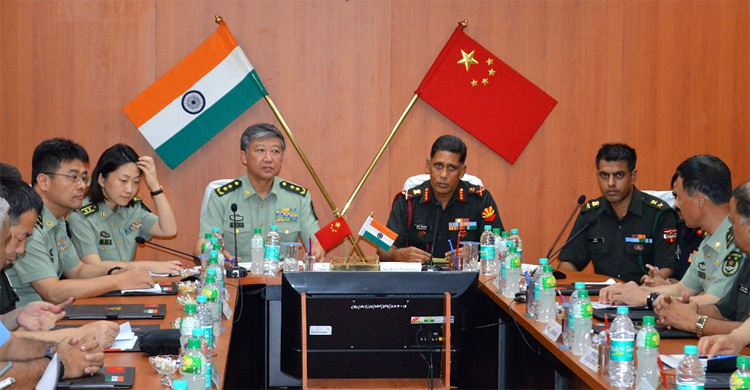 In what was described as a "significant ice-breaker" by our media, a 10-member Chinese delegation led by Lt Gen Liu Xiaowu, Deputy Commander of Western Theatre Command (that controls China's borders with Myanmar, India, Nepal, Bhutan, POK in Pakistan and Afghanistan), arrived in India and held discussions with Army Vice Chief Lt Gen Devraj Anbu at New Delhi on July 2, 2018. The discussions had the usual theme of 'ways and means to maintain peace and tranquility along the disputed Line of Actual Control (LAC)'. As has become standard procedure for PLA, the delegation came via-Pakistan, which is n surprising because with the China-Pak anti India nexus, first hand briefing by the Pakistani military would have been useful, including proxy war in J&K and discussions on coordinating actions for continuing to de-stabilize India. This was the first high-level India-China military exchange after the Doklam standoff and the informal summit between Prime Minister and Chinese President Xi Jinping at Wuhan in April 2018. After the Wuhan Summit, the two militaries were reportedly tasked to accumulate strategic trust, effectively manage and control differences along the LAC, maintain border stability, and ensure development of relations between the two militaries. The Chinese delegation also visited Agra and later proceeded to Sukhna, HQ of 33 Corps that was involved in the Doklam standoff. Later the delegation also visited HQ Eastern Command at Kolkata. The two militaries also reportedly discussed the conduct of hand-in-hand exercises which were postponed last year because of the Doklam standoff. The two militaries are also supposedly working out having military exchanges at the theatre level, border management and control, plus border defence cooperation. The next hand-in-hand joint military exercise is to be hosted by China. 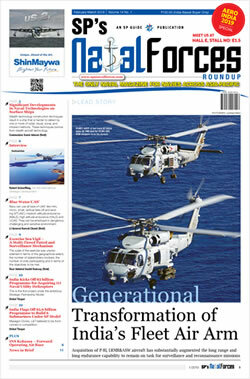 Incidentally, journalists visiting Beijing in July 2015, were told a Chinese defence ministry official that a military hotline between the armed forces headquarters of India and China is expected to become operational soon, talks were in advanced stage, and once the main hotline was established, more such direct links between senior military officers in the field would be set up. Despite in principal agreement to establish military-to-military hotline, this drama has been going on for many years under the pretext placement of requisite interpreters, whereas, if China was genuinely interested, there is no need for interpreters since both Indian and Chinese military officers are well versed in English. China would, however, insist on dialogue from their side in Mandarin, the narrative of which can have different interpretations. A cross-section of scholars believed that Modi sought the Wuhan summit with Xi because if China made some more advances across the LAC, it would seriously affect Modi's election during 2019. This was more relevant because the armed forces continue to be poorly equipped, defence allocations have been lowest since 1962 and the border infrastructure, especially in Arunachal Pradesh continues to be in pathetic state with minimalistic improvement done over the past four years plus. China, on the other hand, has militarily consolidated in POK and Pakistan at incredible pace, in addition to boosting Pakistan militarily, and has recently launched two satellites of Pakistan. China's military R&D (particularly in stealth, lasers, cyber and space), weaponistion and modernization of PLA are progressing rapidly. US intransigence to Myanmar has given the leeway to China for stronger hold on that country. Moreover, Chinese investments and political warfare have made massive strides in Nepal, Maldives, Sri Lanka and now Bangladesh, turning India's "neighbours policy" on its head. The Indian Army is actually short of everything less valour that it has in abundance. So China has all the time it wants to go pro-active, salami-slicing territory, skirmishes, or repeat a 1962. China has consolidated a brigade strength at Doklam Plateau adjacent to where the standoff had taken place, and Bhutan is no more in a position to even protest, though it had issued a demarche to China when the China had initially commenced road construction in that area. China has emerged more powerful from the experience, as also from developments in the Korean Peninsula. Logically, Xi should not try anything this year to dislodge Modi in the next elections because Modi has fallen in line after recent snubs from US President Donald Trump, and Trump's trade war is impacting India also adversely. Besides, why would Xi Jinping not want Modi re-elected in 2019 with his penchant to keep the Armed Forces impoverished? Recent media reports indicate a reciprocal visit by a "small" Indian Military delegation to China is being planned sometime in the middle of August, led by the Eastern Army Commander heading the delegation. The composition of the Indian delegation is not revealed but China's sincerity in improving relations can be tested if the reciprocal Indian Military delegation includes officials like Corps-Divisional Commanders responsible for Arunachal Pradesh that China claims illegally. Chinese Foreign Ministry continuous to state it does not recognize Arunachal Pradesh as part of India and that it is South Tibet – implying it is Chinese territory. In addition, a bilateral India-China maritime dialogue at joint secretary level and visit by Chinese Defence Minister Lt Gen Wei Fenghe to India are being worked out. The last India-China maritime dialogue was held in 2016. 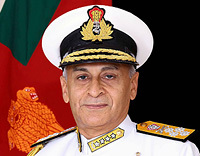 It is not clear whether Indian participation in the maritime dialogue would include any members from the Indian Navy albeit it can be taken for granted that all members from the Chinese side, including the joint secretary would have served in PLA, if not PLA Navy.